East Village Today is honored — honored! — to be honored on the Mosaic Trail! And what better location (at the corner of Second Avenue) than the one I've spent so much time trying to improve! 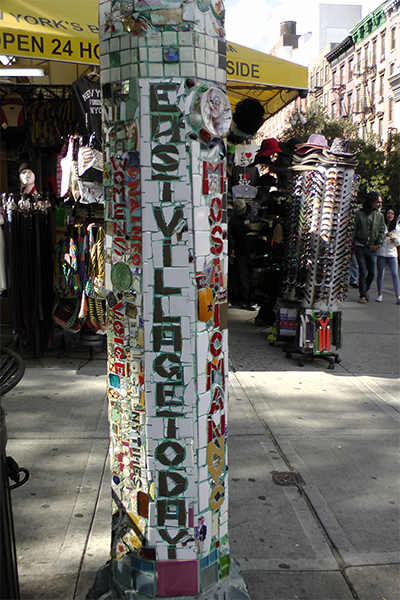 It's gratifying to know that… East Villagers love East Village Today! the mosaic man is one crazy kool guy!